This is a dangerous thing to do, I know. Don't worry. I'll stop soon. There are a lot of teenagers who say they don't like classics. OK, hold up. There are lot of teenagers who say they don't like books, but that's another issue. I mean, out of us readers -- and specifically, us bloggers -- there are many who say they dislike the classics. This is my gut reaction -- but recently, I had a thought. Classic fiction is a genre, like any other. We all have favourite genres. Along with a smattering of other genres, I read classics and fantasy (high or urban, or paranormal, I'm not fussed). You might like YA contemporaries, or historical romance, or dystopia, or sci-fi. Whatever. The point is, everyone likes different things because everyone is different. There is a flip-side to this: we all have genres we don't really like. Personally, I barely read any sci-fi or any crime thrillers. I don't much care for them. And if someone is trying to make me, I feel that it's fully within my rights to say "Nah, I'm not mad keen on crime." But if classics are just another genre, why can't people say they don't like them? That is the heart of the issue. I hardly read sci-fi. You hardly read classics. Isn't that OK? I'm going to say no. Not because I'm a book snob. But because I genuinely believe that no one should condemn a book just because of its genre. I am convinced that there are some wonderful books that fall into "classic fiction", and I really, really think you should read them. I know what the converse of this is. If you're a sci-fi or crime fan, you're going to tell me that there are marvellous books of that genre, and I need to read them. And I'm willing to do so! So, what? We should keep genres but pay no attention to them? That's not what I'm saying, either. It's perfectly fine to have favourite genres, to read more from them than from others. It's great to form opinions on any subject, books most of all. But I don't think we should close our minds. I don't think anyone should be monopolised by one genre. Don't write off a book because of what it is. 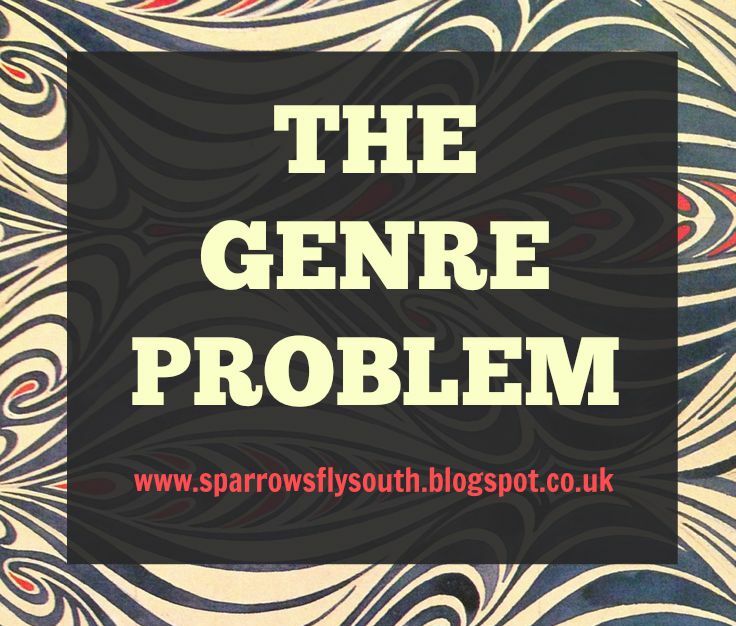 Just because something falls into your favourite genre, doesn't mean you'll love it; and just because it's from a genre you don't normally read, doesn't mean it's not brilliant. The point is that the genre shouldn't define the book; it should exist outside of that genre's tropes. My challenge to you, therefore, is to pick something up from a genre you don't normally read. You might surprise yourself. I'd love some recommendations in crime and sci-fi. I've done pretty well with crime this year, actually, reading and loving Child 44 by Tom Rob Smith and The Cuckoo's Calling by JK Rowling (though let's face it, I'd marry anything that woman wrote), but I want more crime recs! As for sci-fi, I've read zero this year, so, uh, yeah ... give me some ideas? 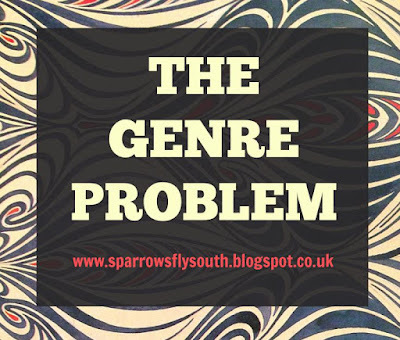 What are your feelings on the Genre Problem? How can it be rectified? And please tell me your favourite and least favourite genres, and why. Maybe I can help you out in recommending something you wouldn't normally pick it up. 1. Written by someone who is now dead. 2. Have withstood the test of time and are now known by people even though they were written long ago. Because they have been read and reread and reread by generation after generation, this is probable proof of their literary merit. The hot bestsellers today might be classics years down the road. (Ahem, Elizabeth Wein.) So really, I don't consider classics to be a genre. However, what MOST people think of as classics, and what I think you are referencing here in the post, are literary fiction classics. But hey, the people I've talked to who don't like the literary fiction classics seem to not like literary fiction in general, classic or not. Personally, I think there is a classic for everyone. Want something short, adventury, to the point? Try Sherlock Holmes short stories. In for more sci fi stuff? Isaac Asimov. These are only classics because they fall into the two categories I pointed out above. The genre issue is separate, imo. This is an EXCELLENT discussion post, btw. Loved reading it! Yes! I half-drafted a section discussing how classics should especially be read because they've stood the test of time, but decided that was a topic for another post! But yes, I am referring more specifically to "literary fiction"; Austen, Eliot, Du Maurier, the Brontes, Dickens, for example, whose work really falls into romance or thriller, mostly, but is generally branded just as "classic". Unfortunately, because some people assume they don't like classics, they discount all books that are in your two categories. For example they say they're a fantasy fan but when you suggest LotR their face clouds; "no, I don't like classics!" As for genre's, I love classics, and I love YA. I don't typically block out genre's but I have a preferred reading, you know? I won't say no to a book because it's sci-fi, or some book written in the 80's about crime. I don't say no to genre's. What I DO say no too is certain aspects of a book. If I pick up a story and see that there is NO romance at all in it, not even a subplot barely mentioned love interest thing going on, I won't read it. I like the romance. I like to see two characters get together over the course of the book. If I see that a story is completely void of any love interests, I'll likely pass it up. Genres do tend to put things in boxes (I don't like boxes much. . .). But I think they are there more to kind of let us know what to expect when we pick up a book. To expect if we're going to be set in our own present world, if we're going to traverse through some unknown world, or get thrown into the Civil War. If your in the mood for funny, or escapism, or deep, genre can help you with that (sometimes). If, if you want to try anything crime related, I would recommend anything by Patrick James. I can't guarantee you'll like it. But I know you would definitely like Sherlock Holmes! Because Sherlock (who doesn't love?). Also, it can fall under the category of classic fiction (I think?). And I think you would love comparing the books and the BBC Sherlock. I love doing that, and I can still hold a love for both individually. Exceptions are the best! Oh, The Book Thief. Such a marvellous book :') Historical fiction's normally not the genre for me, either, but if you want another great rec, try Girl With a Pearl Earring by Tracey Chevalier. I LOVE that book! And yes, I definitely must read Conan Doyle's original Sherlock. I need to, like, soon. YES! Sometimes I think books get held back even more by bad cover art than genre. I don't know why people don't put effort into a cover. It's a person's first impression of a book; it ought to be unique, not the cliched "let's stick a face on it." Honestly, sometimes I feel little embarrassed to be caught with a book that has terrible cover art like a random face. Heh, actually it's Steven James, not Patrick James. I totally got confused there! The author is Steven James, his main character is Patrick Bowers. In my defense, I heard the author speak at a writers conference (he was so good! ), and this will sound weird but I confuse him and his character together. When I read the book, I was like, "This Patrick guy, sounds a lot like the author. Not completely, but in many ways, yes." Haha, OK! (Don't worry, we all do it.) Steven James. I'll look him up! I definitely agree with you on this one. I think it's okay to have preferred genres, but that shouldn't stop you from reading books from genres you don't normally read. I personally am I big YA Contemporary fan, and I also like some dystopian every now and then. I don't read too much fantasy but every once in a while I do and I don't let the fact that the book is fantasy stop me from giving it a try. Yes, I don't have as big a chance of liking the book as it would if it was contemporary, but I don't judge it by its genre. I like a classic from time to time (but they're pretty time-consuming so I don't read them as often), but I hardly read sci-fi. The only series I really liked that was sci-fi was The Lunar Chronicles, although those are arguably also dystopian. Glad to hear you agree! Classics are pretty time-consuming, agreed -- although there are some quite short ones, for example right now I'm reading Northanger Abbey which (though not Austen's best, in my opinion) is her shortest! I started it on Sunday and plan to finish it tonight -- it is pretty tiny. But, agreed, it still takes longer to read than other books because the language can be harder to just barrel through. Fabulous post! I agree that this can be a problem - trying to shove books into a specific box of requirements, especially when so many books span several genres or have elements of many different categories. I myself tend to work by the rule of 'read absolutely ANYTHING I can get my hands on'. That said, I don't read an awful lot of non-fiction, and very little crime (not that I am averse to it, I just wouldn’t, y’know, seek it out in a bookshop). However, if I had to pick some favourites they would be fantasy (high fantasy, urban, paranormal, any kind of fantasy possible! ), YA and classic fiction. I totally agree that it’s ok to have preferred genres, but not to discount books straight off just because of their category. I can’t really recommend you any crime, but on the sci-fi front, you should read “The Space Trilogy’ by C.S. Lewis. A top-class trilogy that makes you wonder how one man could be so incredibly talented in such a wide range of different genres! Also, the second book, Perelandra, is BEAUTIFUL, stunning, breathtaking and a mesmerizing story that will stir the heart with it’s Eden-like setting and joyous theme. Basically – PUT IT ON YOUR READING LIST! EXACTLY?? What is LotR, fantasy or classic? What is TRC, paranormal or fantasy or romance? MY HEAD EXPLODES! Second that. But, uh, you should read The Cuckoo's Calling .... I'm just sayin'. I think one of the most incriminating factors for the classics is their age. The writing techniques used are so archaic that they don't always work along with our modern sensibilities. Some of the writers were great and some periods of writing sync up with modern standards better than others. As a spec fic writer, I prefer to stay away from non-spec fic classics because I don't want to lose my modern style's edge. Even the old spec fic is dangerous, but I read some of it out of appreciation for the history of the genres. I won't say I don't like classics, but I don't gravitate towards them. And for a while I probably was the person saying, "I don't like classics". I think a lot of classics lovers (not all but some) get a little snotty about it, like books that aren't classics are lesser and that attitude influenced my opinion of the genre. Add in forced classics reading in High School for a not good combination. I rarely enjoy things I'm "forced" to read (or do). Now I try to read 1 "classic" a year. This year I read "Jane Eyre" which I LOVED. Two years I read "Pride and Prejudice" and didn't like it much. I like the story of P&P, but I find Austen's writing style tiresome. I'm really glad I've read both of them though but it never would have happened if I'd had pressure on me to read them. Jane Eyre took me 8 months. I rarely read sci fy. I'm doing a reading challenge and sci fy was one of the categories. I started and gave up on 3 books before reading The Cage by Megan Shepherd which is probably baby sci fy. I enjoyed it, but sci fy really isn't my genre. For crime recs try Harlan Coben's Myron Bolitar series. The first one is called Deal Breaker. They can be dark, but the characters are a little eccentric which lightens the mood. Plus Myron is just kinda awesome (he's my book boyfriend). I totally understand that; book snobs really put you off! Especially because you then feel pressure to love the books because everyone tells you they're great, and if you don't like them people act like your opinion is invalid; like you can't criticise the book, just because it's a classic. And ALSO it's like, hello, a book can't be a classic when it's published! It can't HELP not being a classic!! Sci-fi isn't my genre either, BUT I am super excited to read Cinder after the recs on this post! But, anyway, I loved Shelter -- it was really, really good! -- so I'd love to reinvestigate Coben! YES! Mickey is actually Myron's nephew. Coben has written 7-8 Myron books and I think he hit a wall and introduced Mickey as a YA character. I tend to say that I dislike classics, but ever since I read Pride and Prejudice, my eyes have been opening. I try really hard not to pigeon hole myself into select genres, but it can be difficult. My biggest goal in broadening my reading horizons is to read more non-fiction (which I am getting better and better at). Insightful post; thanks for sharing! P.S. As for sci-fi recommendations, I read World War Z for school (I would NEVER have picked it up on my own) and really enjoyed it. Non-fiction, that didn't even occur to me, but YES! I'm terrible! One of the best books I read last year was Wild Swans by Jung Chang -- absolutely stunning book -- but I should really try and read some more. Ooh, OK ... is that the one that got made into a film with Brad Pitt? I'll look it up! Read Cinder. Seriously, read Cinder. I will second the Cinder req. I liked Cinder okay, but I have loved each successive book even more than the previous. Winter may kill me. OK! I will read Cinder! I actually have a copy borrowed from a friend currently ... gosh, but I need to finish some of the series I'm reading, first. Yikes. Struggles. I agree with Brandy, the books just kept getting better. I wandered around in a daze after Cress and wasn't sure what to do with my life. WHY IS NOVEMBER SO FAR AWAY?!?! I'm seriously needing Winter here. It's not that far away! A month and a half. DON'T PANIC! KEEP BREATHING! Gosh but I'm excited to read the books now! Ooh, interesting. Not the reason I normally here for being anti-Jane! But I totally see your point. I too am a big fan of explosions. I guess I love Austen's books because, despite the romance (which I do love, but it's not the main thing) the FMCs are still strong and developed and not defined by men, AND the social commentary is hilarious!